From the first Dunfermline allowed its members to meet at places outside the town that were more convenient to them. The East Lothian Gardeners allowed their members resident near Dunbar to meet there. These groups spread the concept of gardening. New lodges sought charters from existing lodges. Their choice may have followed personal connections rather than any precedence within the existing lodges. For example, Lodge Black Agnes at Dunbar several times got confirmatory charters from Haddington, first (1773) as a subsidiary group, as at Dunfermline, and then as a lodge in its own right. While Dunfermline and Haddington disputed precedence, lodges owing no allegiance to either existed by the nineteenth century. When and why they arose is often lost or unknown. 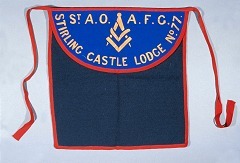 Within Lothian and Fife lodges at Edinburgh (founded 1782), Lasswade (1821), Penicuik (1822), and Stratheden at Letham, Fife (1845) are representative. 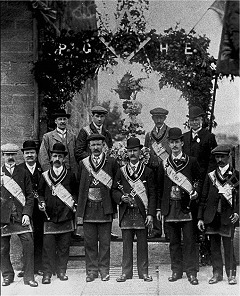 The newer lodges accumulated mysticism, legends, rituals and craft practices that were wider ranging and developed than those of Haddington and Dunfermline. 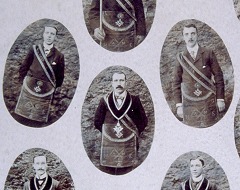 The older lodges were happy with their own practices until very late in the nineteenth century. Most of the new detail was freely adapted from the rites and practices of freemasonry. The appearance of Masonic style imagery and symbolism on gardeners' artefacts is almost a marker for a nineteenth century foundation. There were around 50 lodges in the region by 1850. The newer Lodge names usually had a descriptive term or a dedication, e.g., Penicuik Thistle Lodge, Lasswade St Paul's Lodge, Whitburn Olive Lodge, Dunbar Black Agnes Lodge. They also included the words 'Free Gardeners' in their titles. Although some had roots in practical gardening, most were from the first exclusively mutual benefit societies of the type known as 'friendly societies'. In 1849 Lasswade St Paul's Lodge of Free Gardeners invited delegates to a meeting to open a Grand Lodge. There had been one in England for a while - the British Order of Free Gardeners. So five lodges joined the (brand new) 'Ancient Order of Free Gardeners', which had offices in Edinburgh. Lodge numbering was introduced, Lasswade being No1 and Penicuik No2. 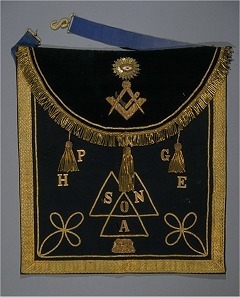 Soon internal disagreement prompted the formation of an eastern and western grand lodge. Glasgow City Archives hold a minute book of the West Of Scotland Grand Lodge of the Ancient Order of Free Gardeners dating from 1859. In 1879 the Western Order opened the St Andrew Order of Ancient Free Gardeners Friendly Society. The Gardeners of the Lothians and Fife faced the 20th century in good heart. Despite the variety of organisations that had developed, all recognised a 'community' and shared a common mythology. Some had considerable resources and most were at least capable of honouring their commitments, thanks to the supporting Friendly Society Acts passed in recent years.